Street Art, to Remove or Preserve? A Tricky Question. Where Street Art comes from and where it is going is are vital points when discussing it's physical temporality. Google Cultural Institute have found a way to preserve what might be removed in recently launched The Street Art Project. Street Art is visual art created in public locations outside of the context of traditional art venues, excluding territorial graffiti and pure vandalism. The movement has it's root in New York's graffiti boom of the 1960s peaking in the 1980s with artists like Keith Haring, Jean-Michel Basquiat and Lady Pink who moved away from the initial word-based aerosol-painted graffiti creating large and small-scale figurative work in unsanctioned public spaces of New York. Today the term encompasses a wide array of mediums and practices such as; stencil graffiti, wheat pasted poster art, sticker art, street installation or sculpture, video projection, yarn bombing and, Lock On sculpture. 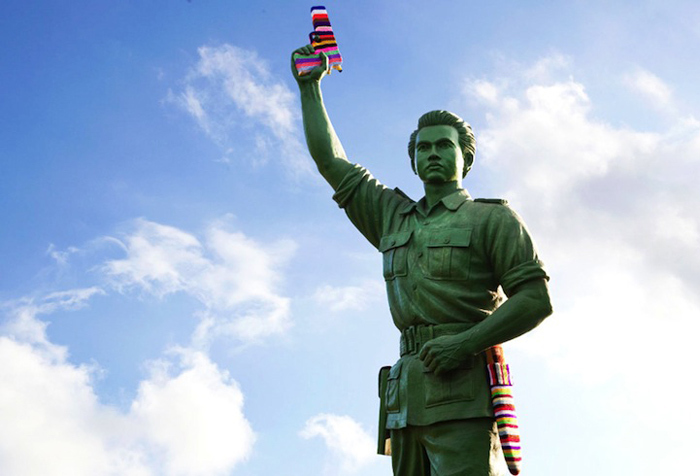 Popular Yarn Bombing Artist Magda Sayeg. Street Art has become widely recognized and promoted by the Art World, public institutions, city councils and private corporations - the phenomena has been the subject of many museum exhibitions and the art is part of many public and private collections, street artists are successfully entering onto the secondary market and the movement also receives public funding as cities commission Street Art or designate space for it's creation. It is also incorporated into advertizing. 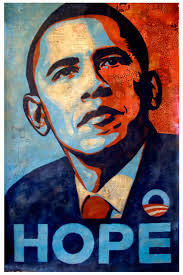 Barack Obama used Shepard Fairey's stylized portraits as the face for his political campaign in 2008. However the preservation of both sanctioned and unsanctioned street art remains a question unsolved. In an op-ed for the Huffington Post street artist Ron English wrote "Street Art is an experience, and then it's a photo, a You Are Not Here moment...These moments are meant to mark time, and to remark on times. And times change." In most cases it boils down to a monetary question; how much money should a city spend or private corporation have to spend on street art created in public space? Standard actions if a building is to be re-appropriated for the city to source for removal and preservation of the work, which may include storage fees is much too costly. 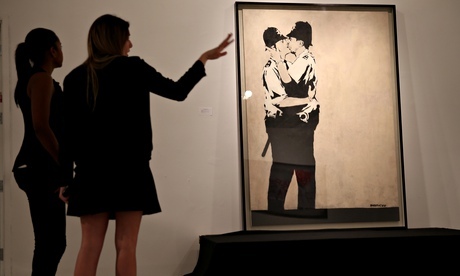 Work by the Banksy, the British anonymous street artist who has taken the auction market by storm, is often removed and preserved - using methods as chemical-agent transfer onto canvas or hacking the piece out of the walls - due to it's high market value. Whereas 5 Pointz, the five-story graffiti mecca since 2002 in Queens, New York was, after building owners received permission from the city, white-washed without any preservation efforts put in place. 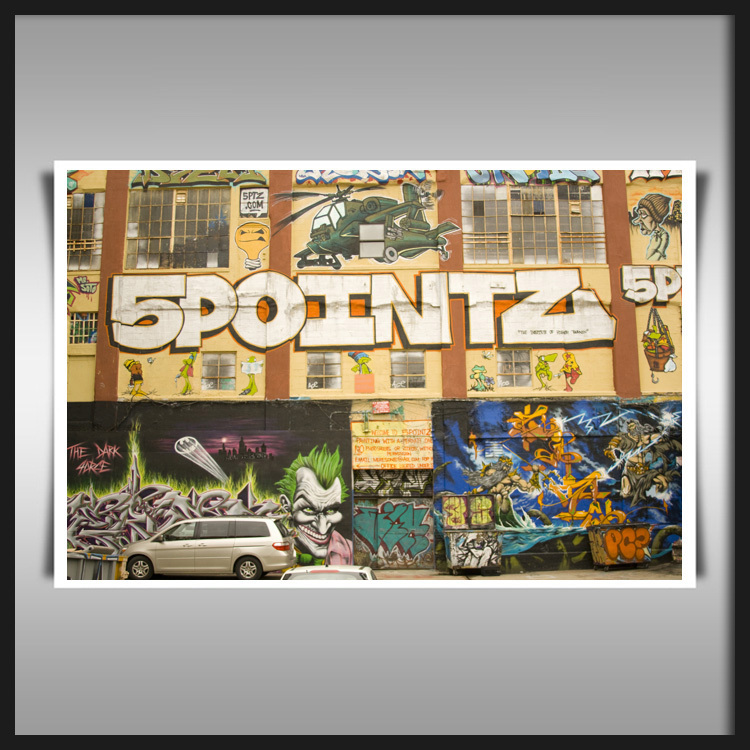 Preserving 5 Pointz proved to be too costly with much polarized interest, with much cultural but little capital gain. 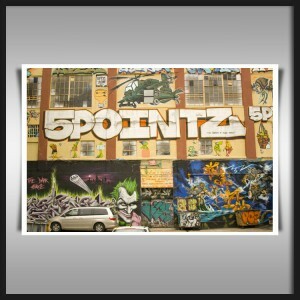 Experience 5 Pointz today through images. In the era of the internet age there are other ways to preserve visual art for the public, something that English touches upon. An excellent example is Google Cultural Institute's recently launched The Street Art Project, a digital repository of more than 5,000 images found on walls, buildings and assorted surfaces around the world. Thus preserving the unsanctioned or guerrilla practices that traditionally characterize Street Art aspects by making work that may be removed accessible to a broad public online.